Can't stop some people intentionally destroy of cinema facilities. Darkness give bad bold provides favorable conditions for damage. 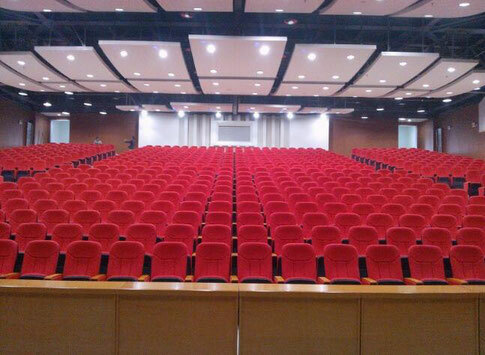 However, through the strict management and timely repair of damaged equipment and according to the object choice appropriate audience theater seats can make the damage rate was reduced to a minimum. , of course, mainly for the adult audience choice of theater seats, with the selected Peng theater seats for the young there is a big difference. A, choose method of post the structure steel or high strength plastic chair, so that can withstand caused by impact, such as cutting or scratching damage. Aluminum strip edge to edge on the back of the auditorium chair ?